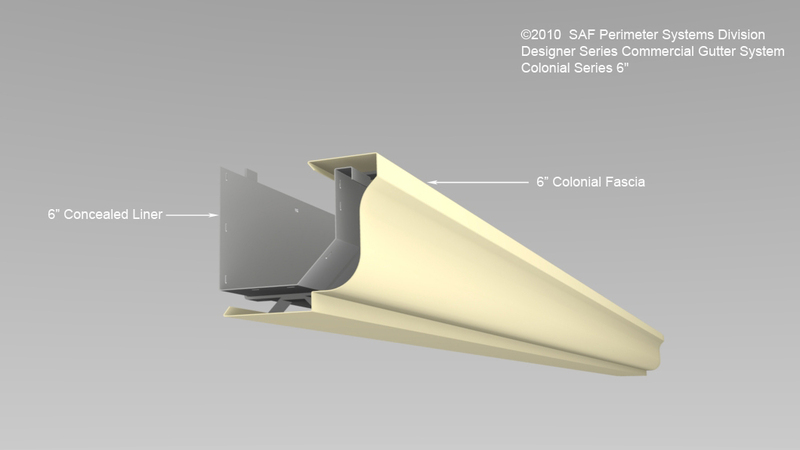 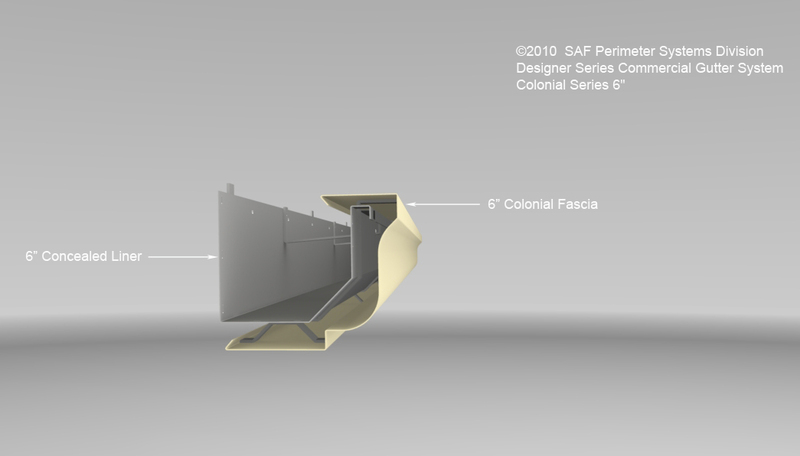 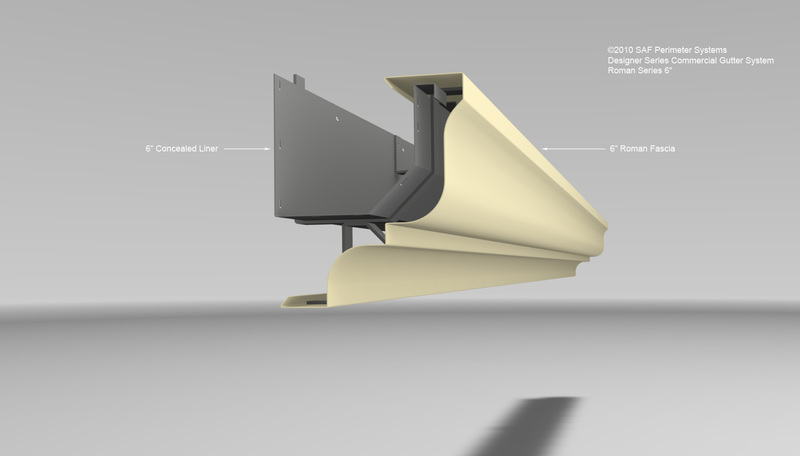 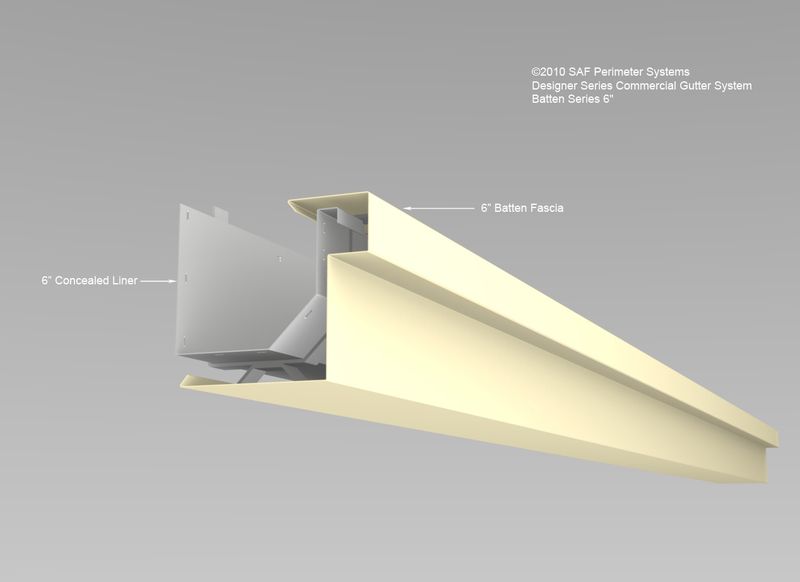 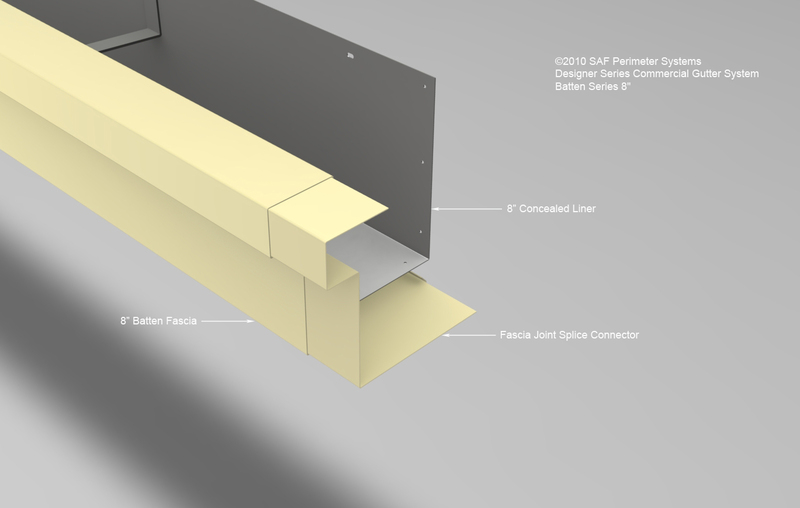 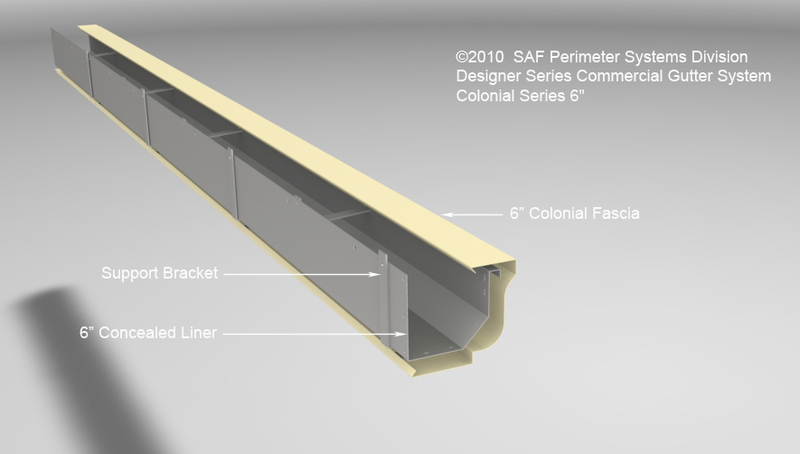 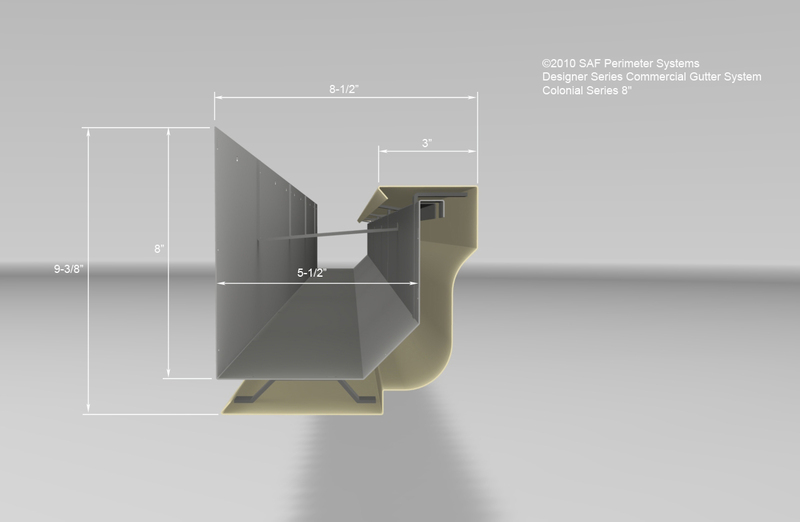 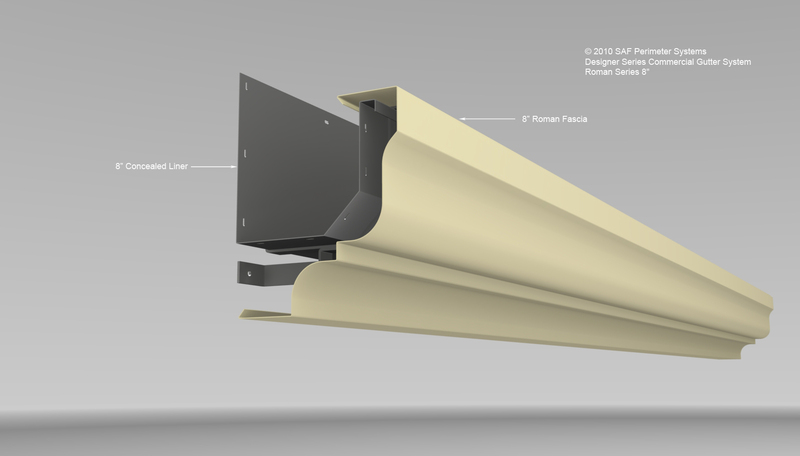 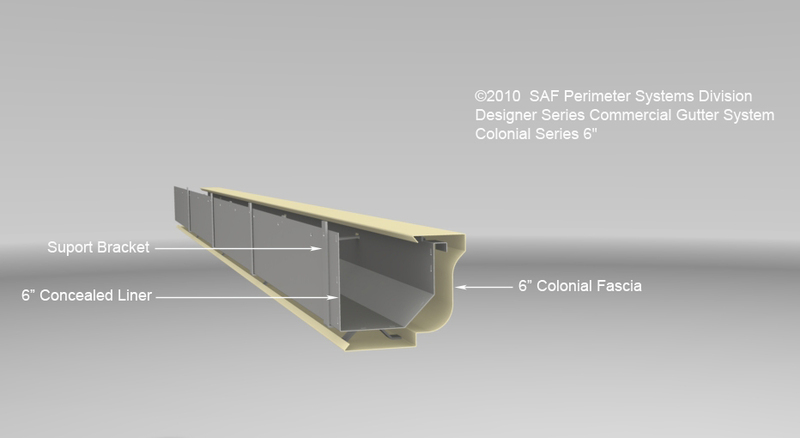 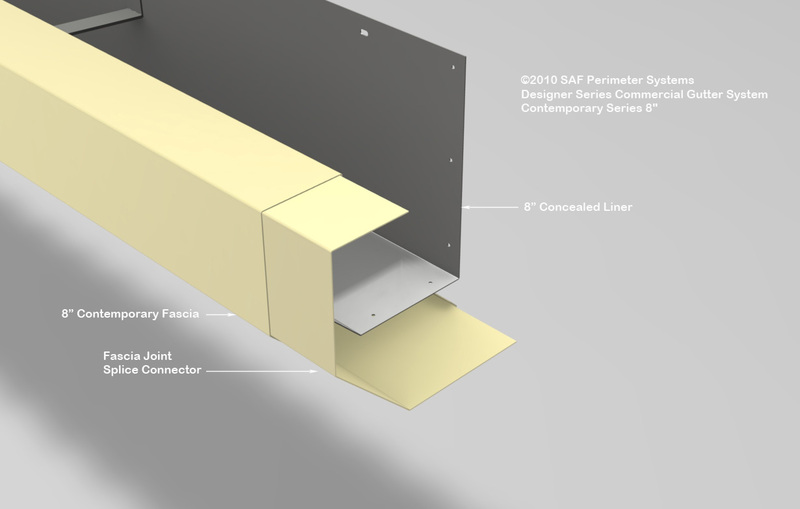 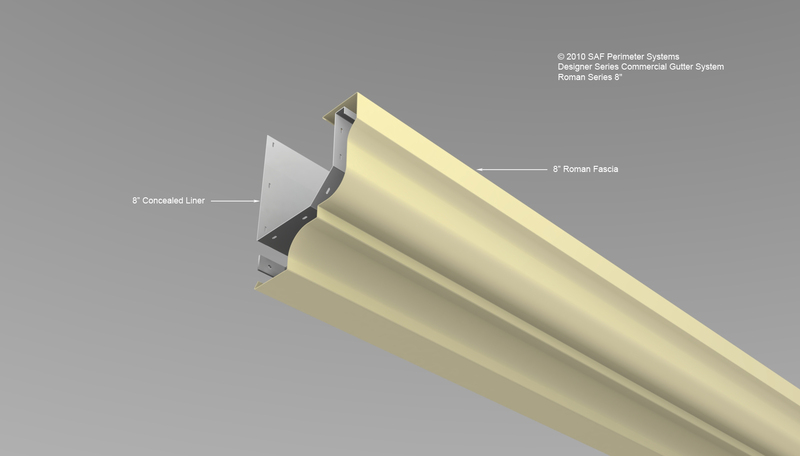 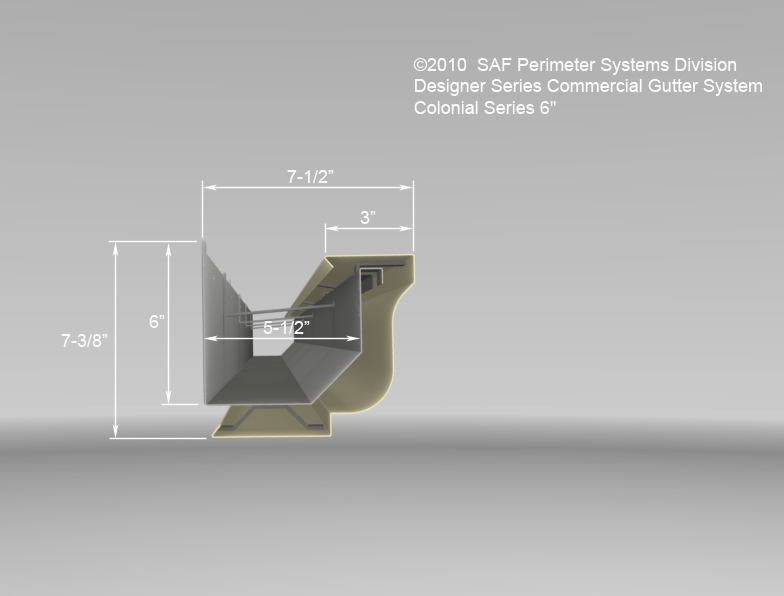 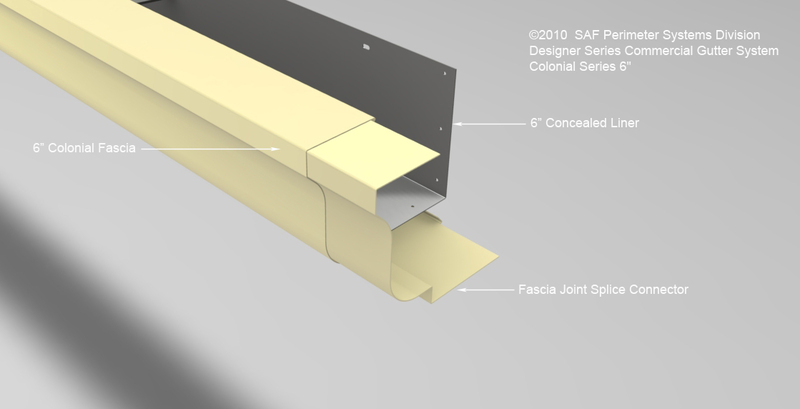 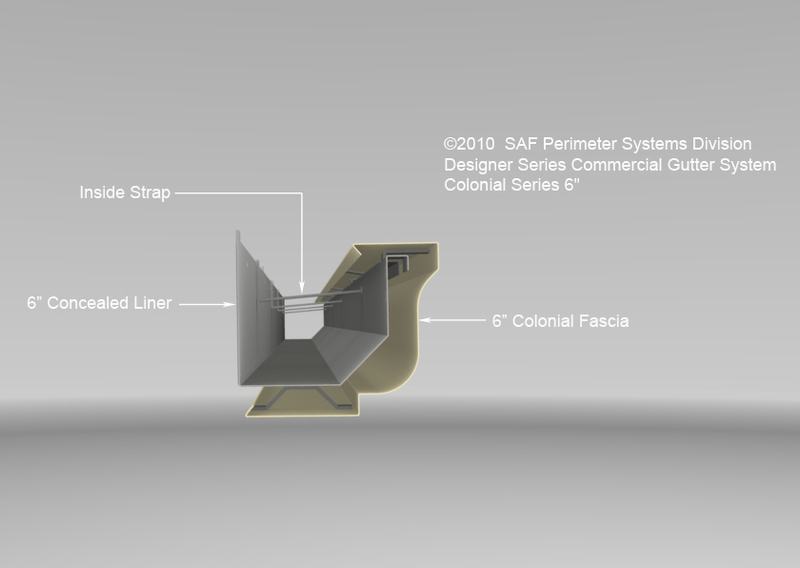 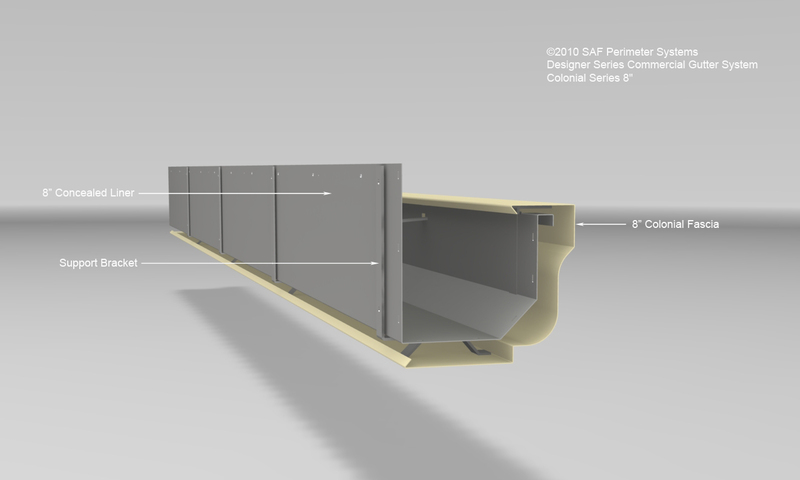 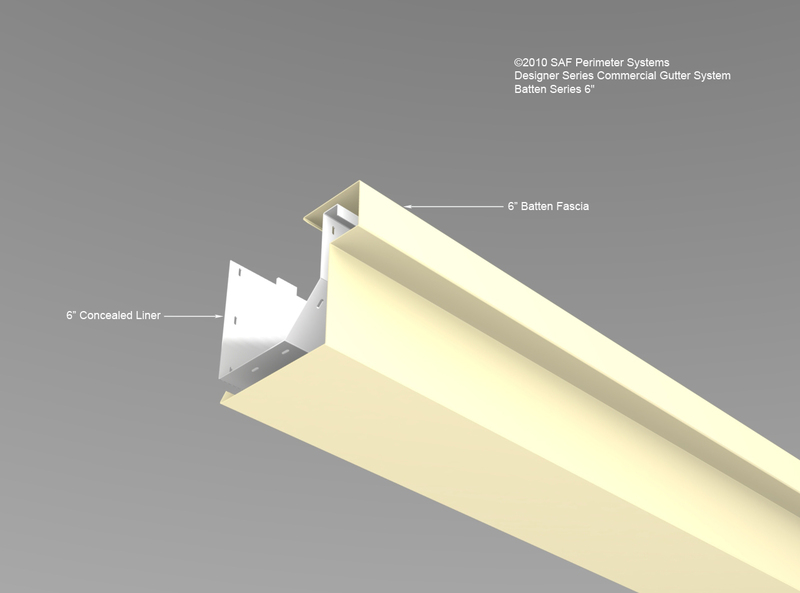 SAF Formed Aluminum Gutters - Designer Series Gutter Profiles SAF – Southern Aluminum Finishing Co, Inc. 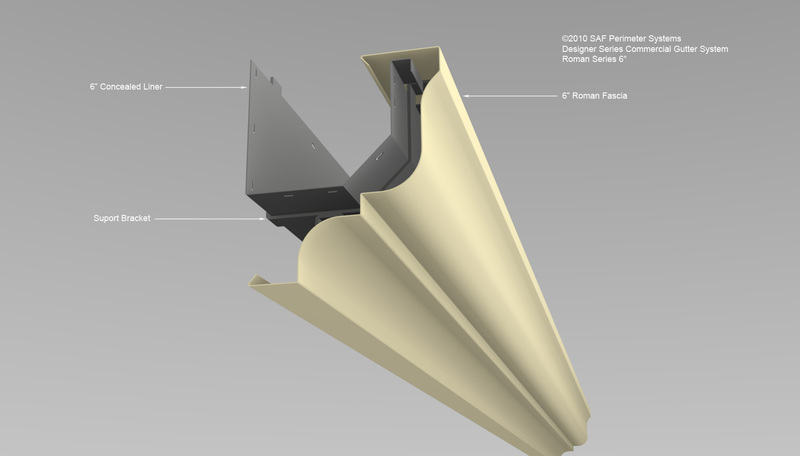 Designer Series Formed Aluminum Gutters feature four architectural Gutter Profiles to match your design requirements: Roman, Colonial, Batten, Contemporary. 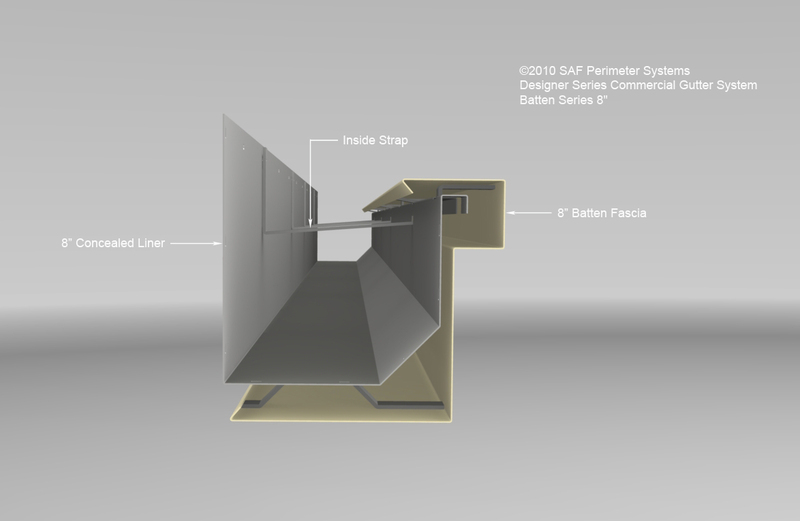 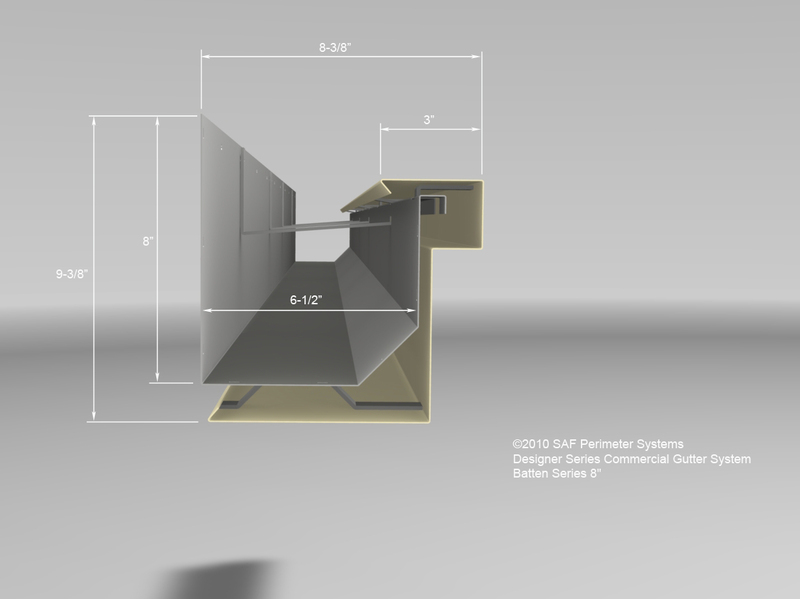 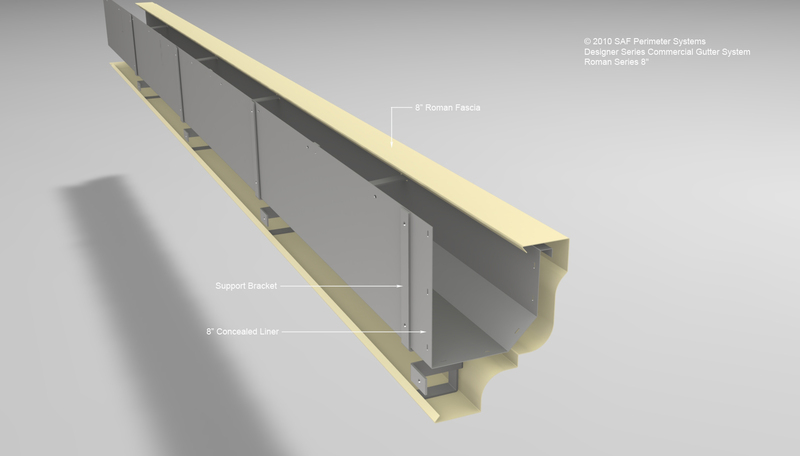 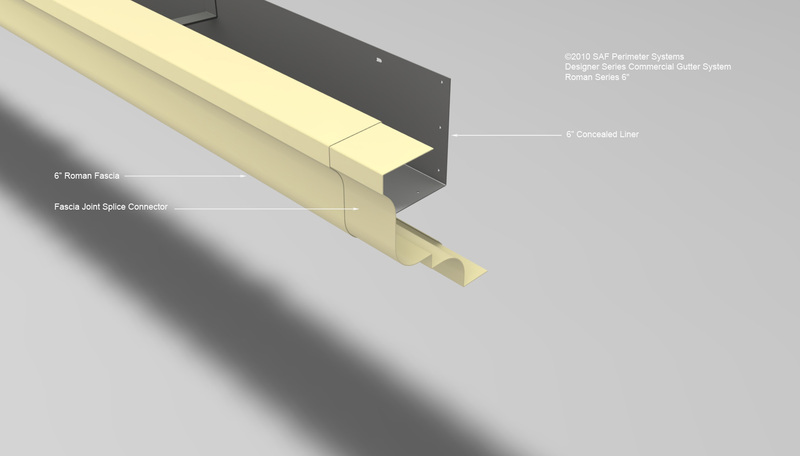 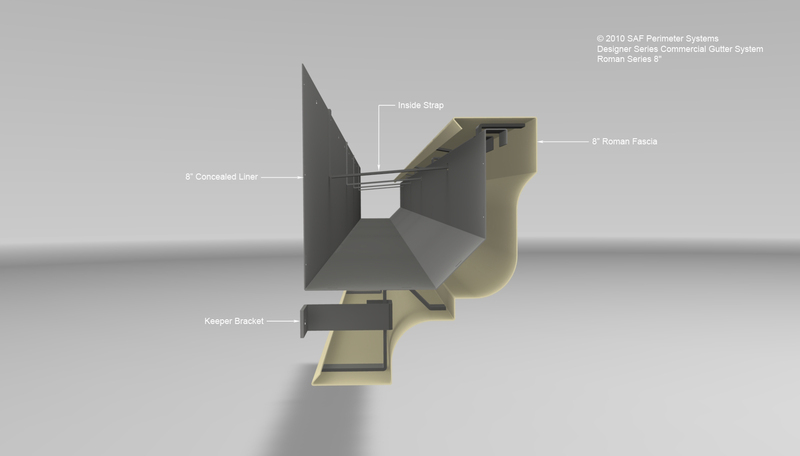 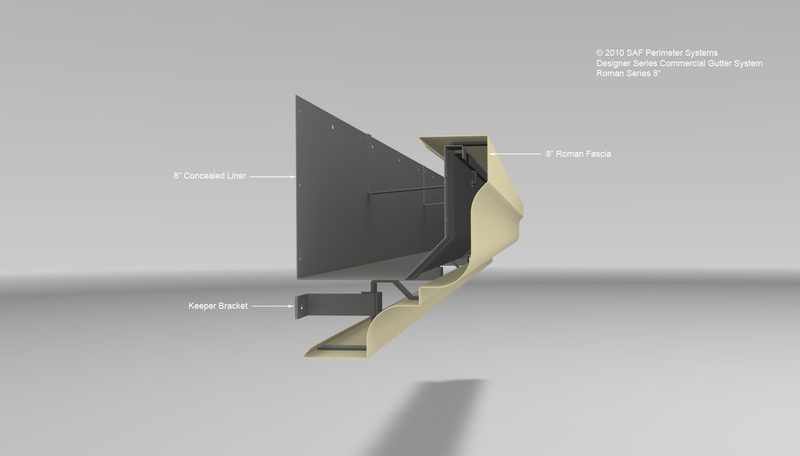 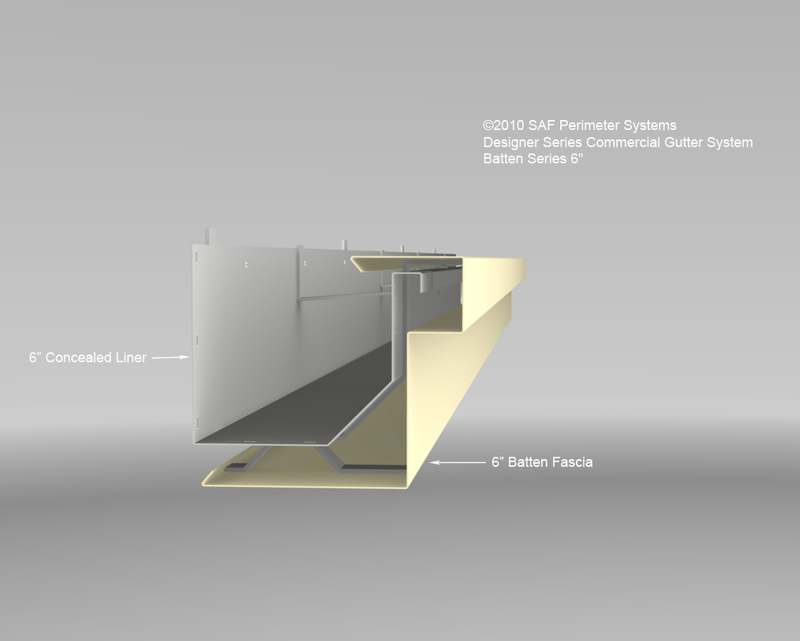 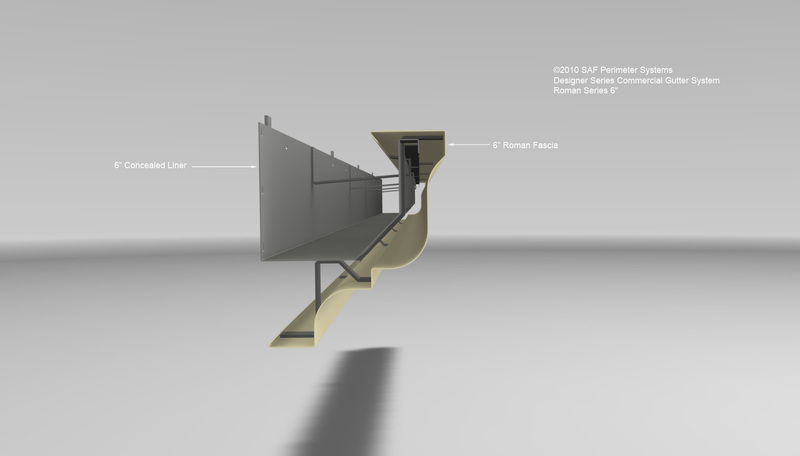 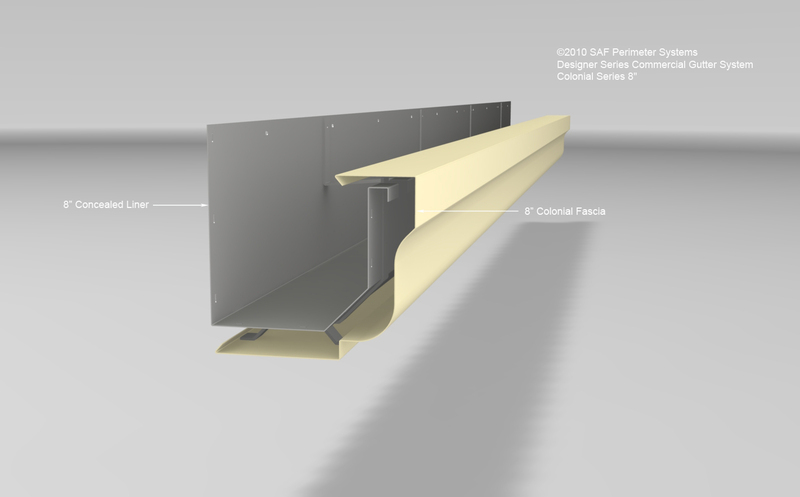 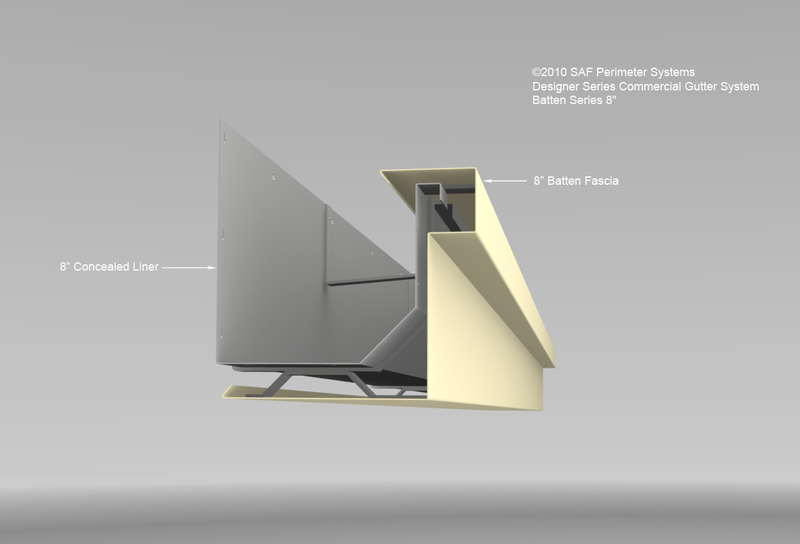 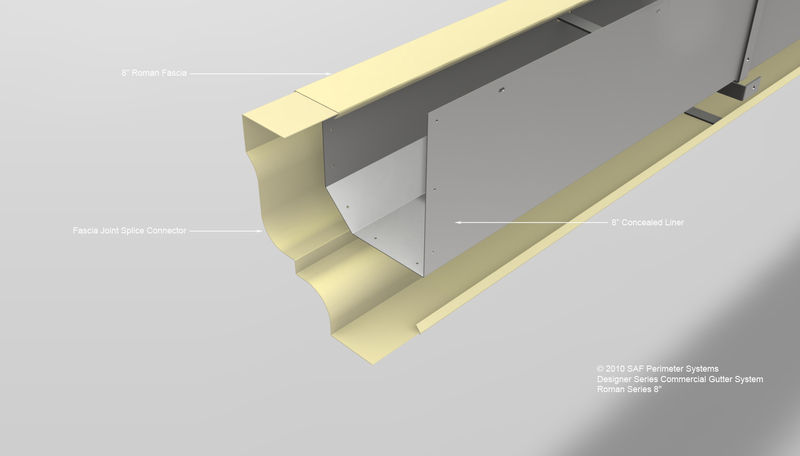 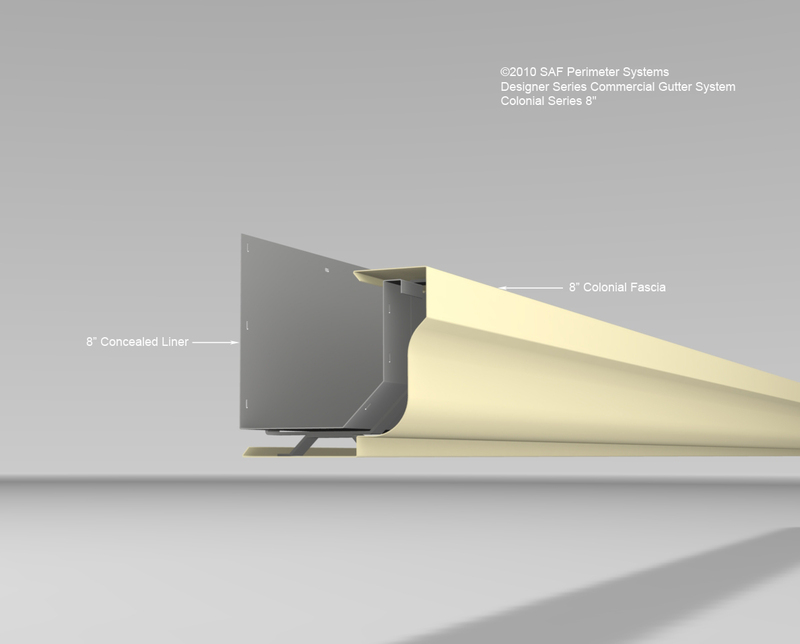 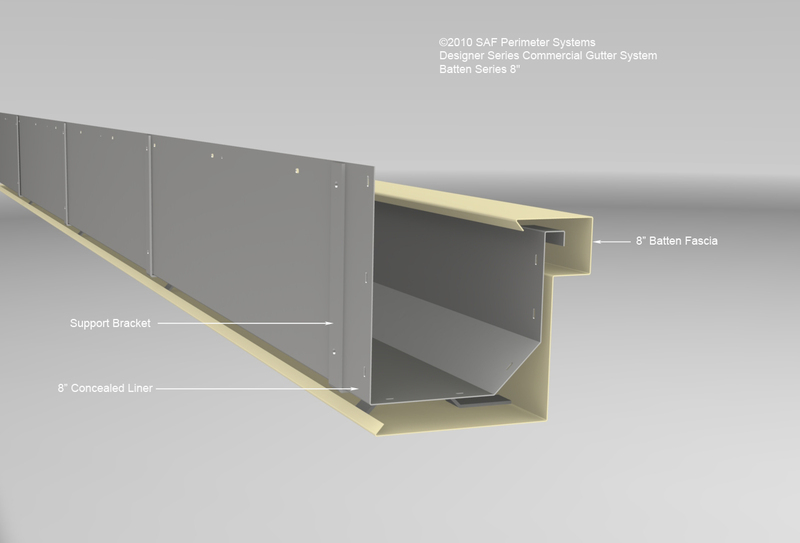 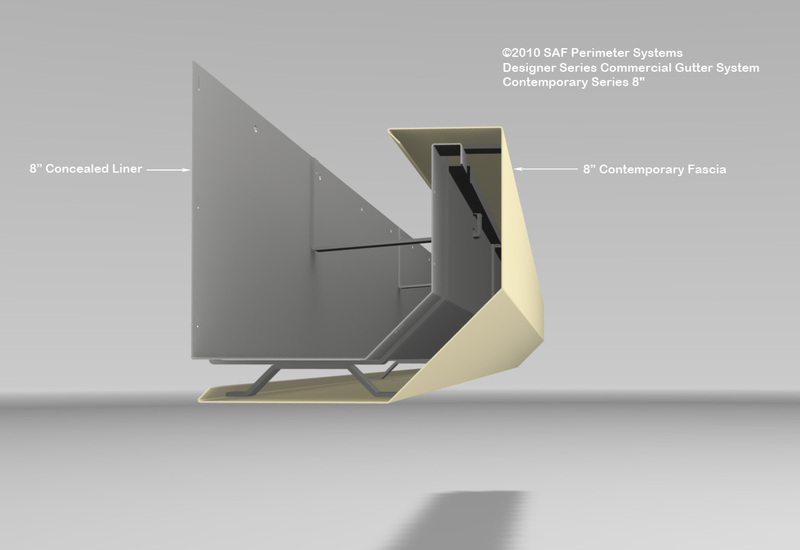 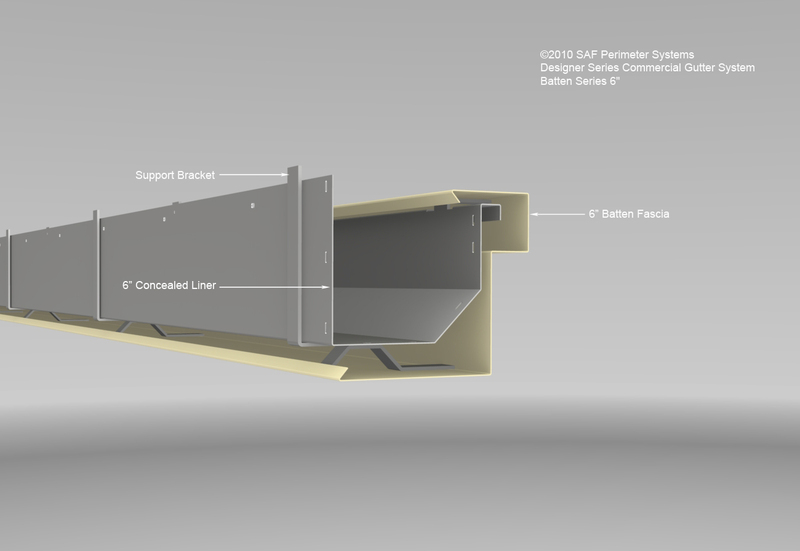 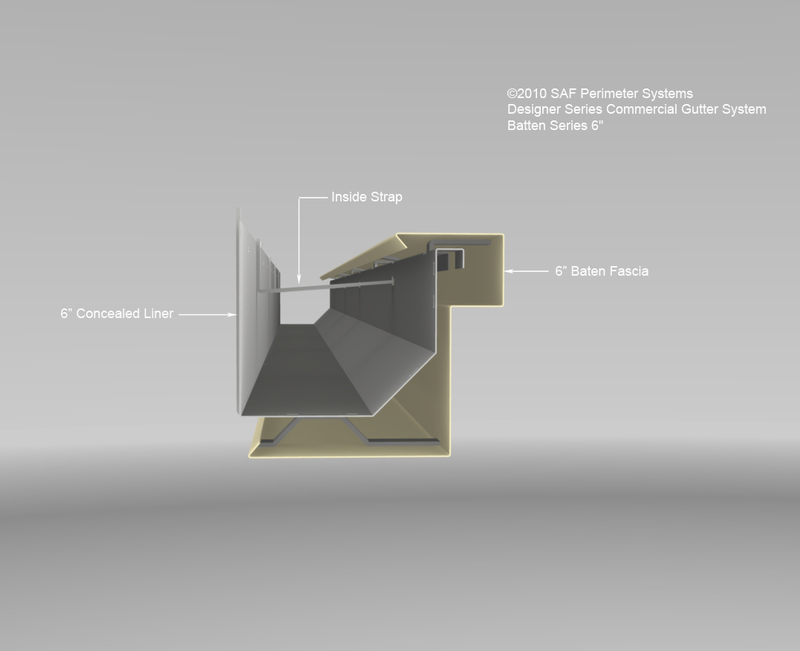 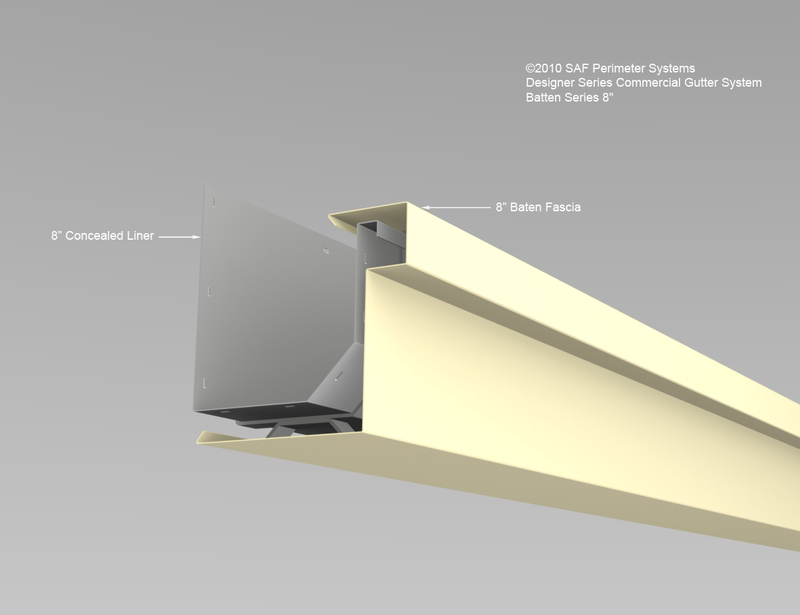 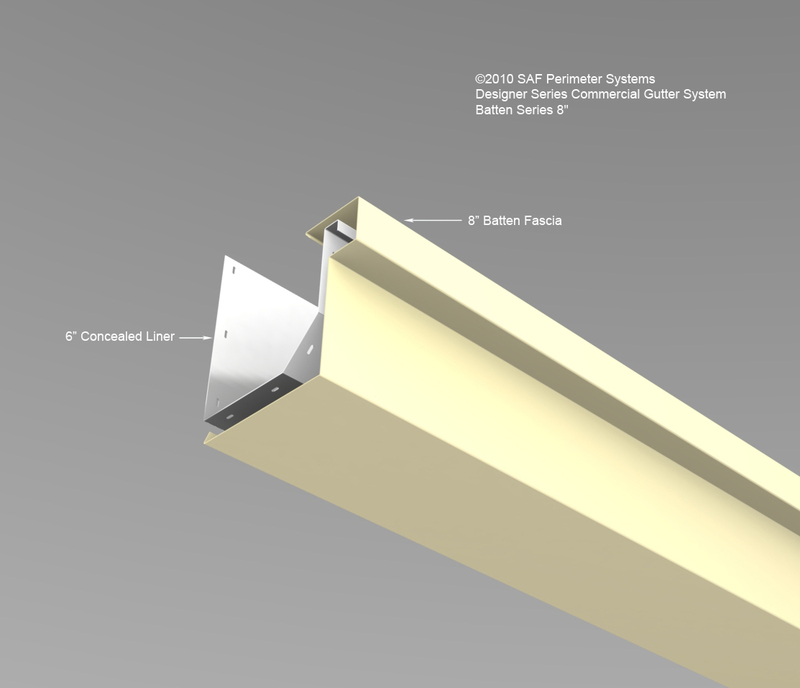 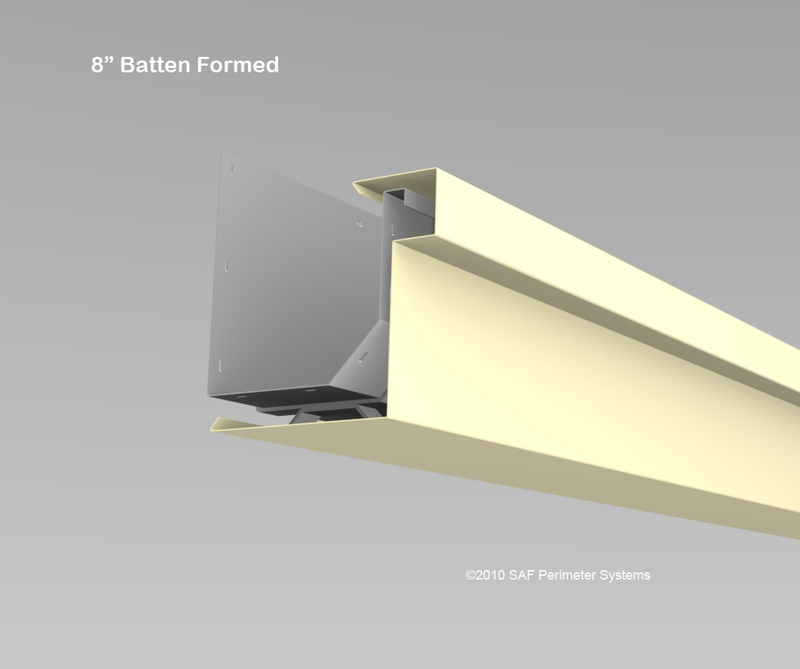 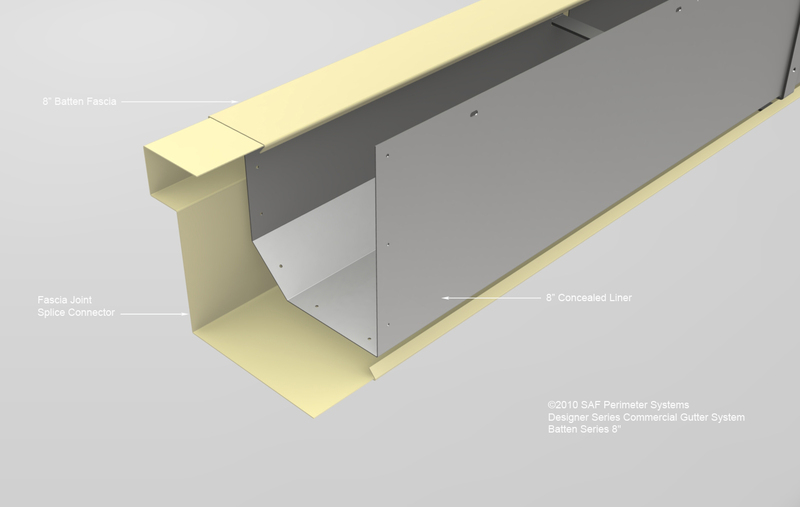 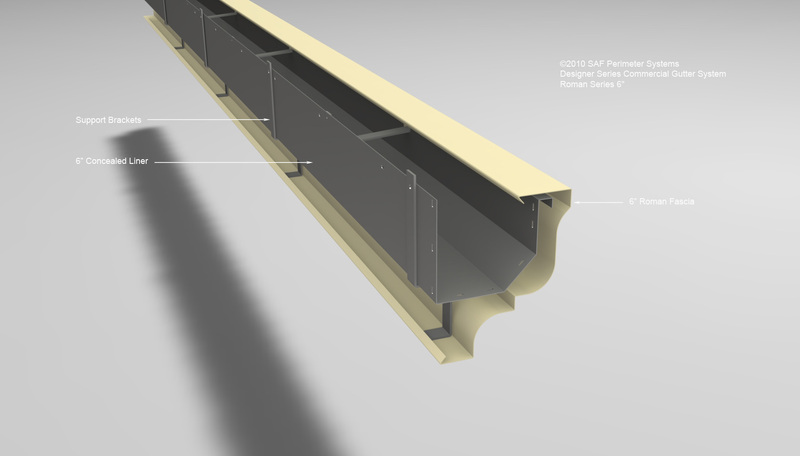 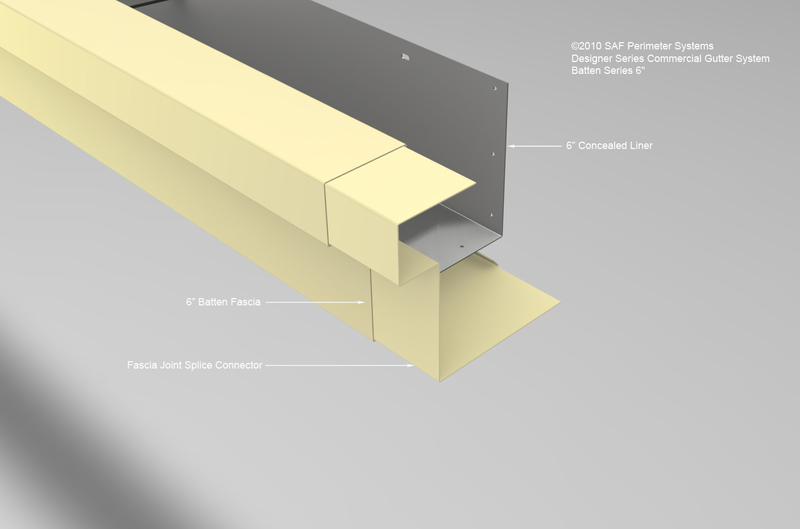 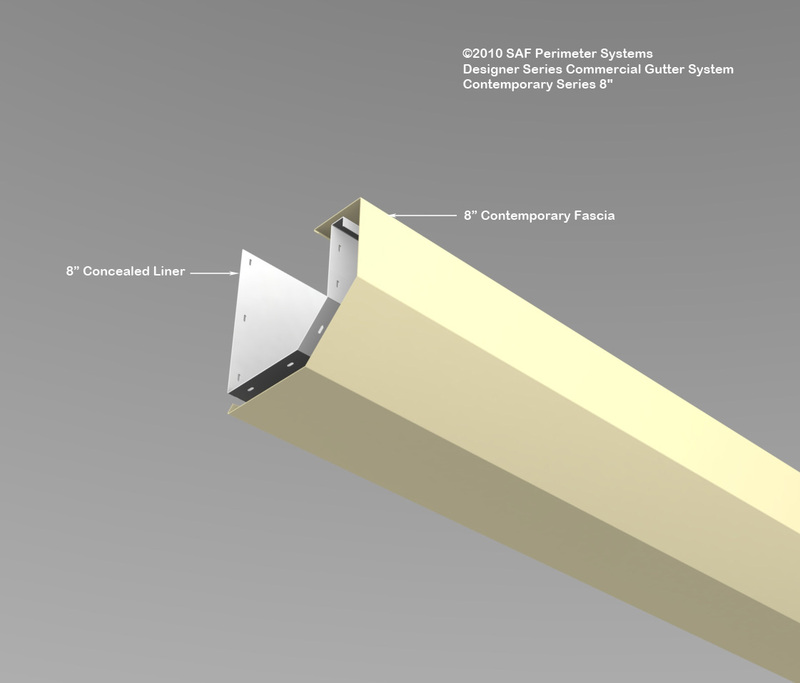 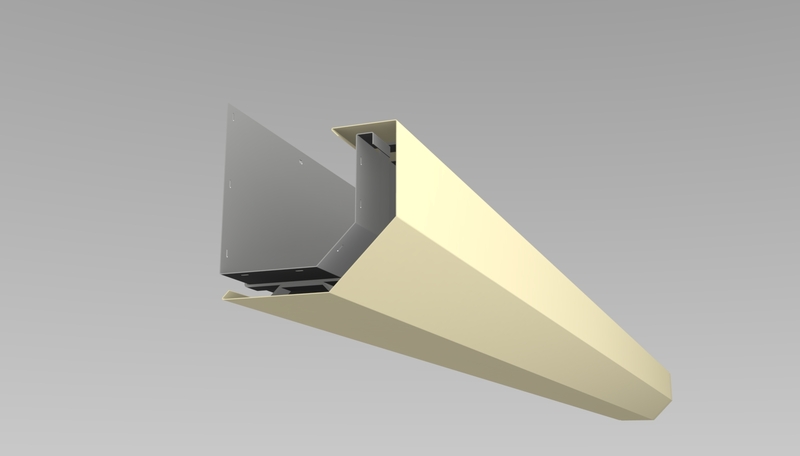 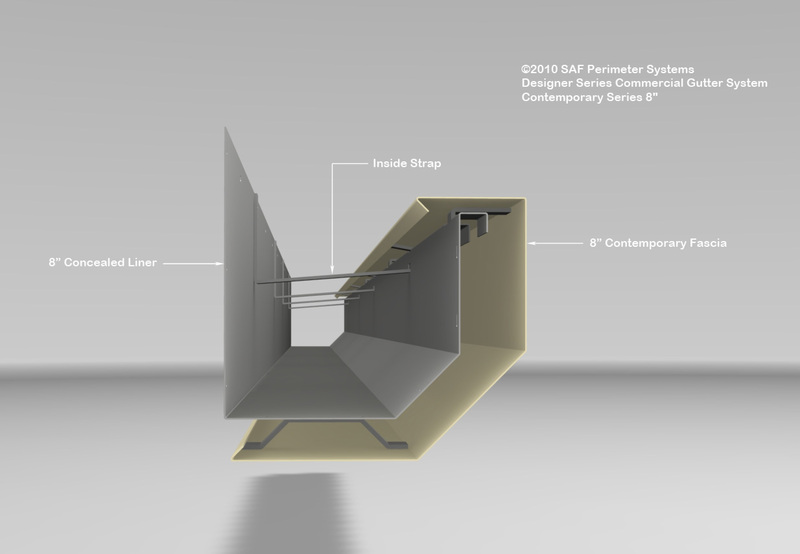 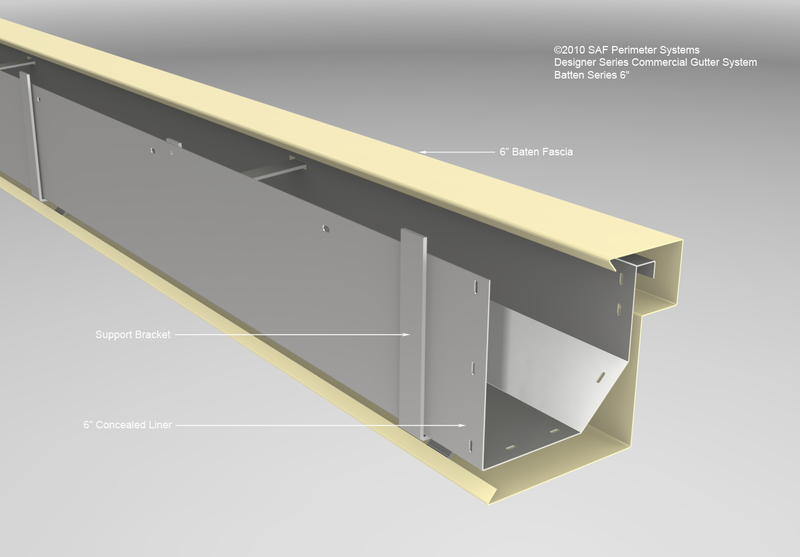 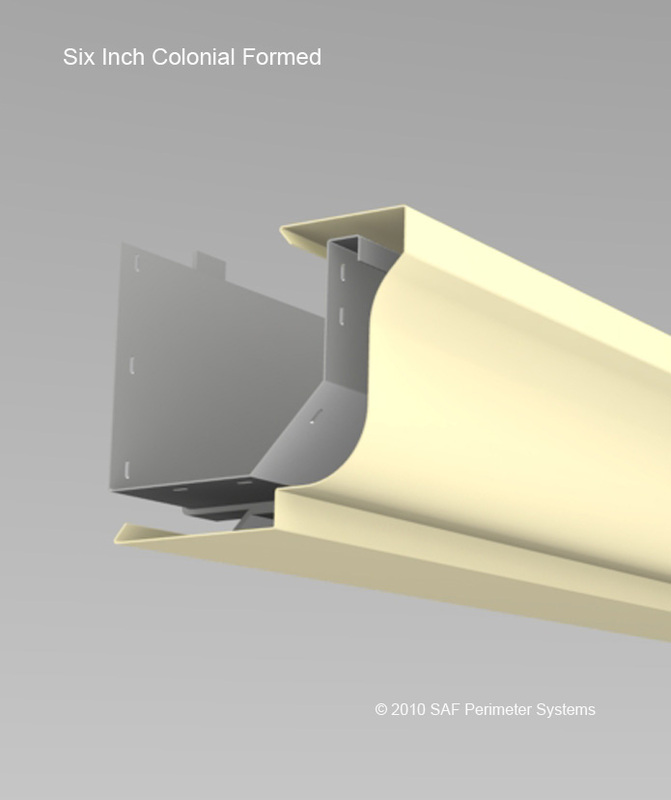 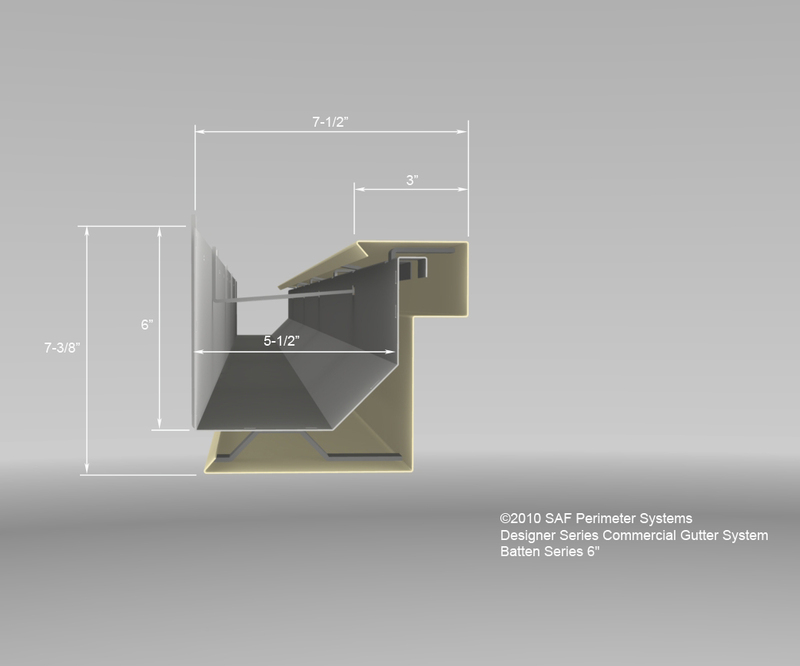 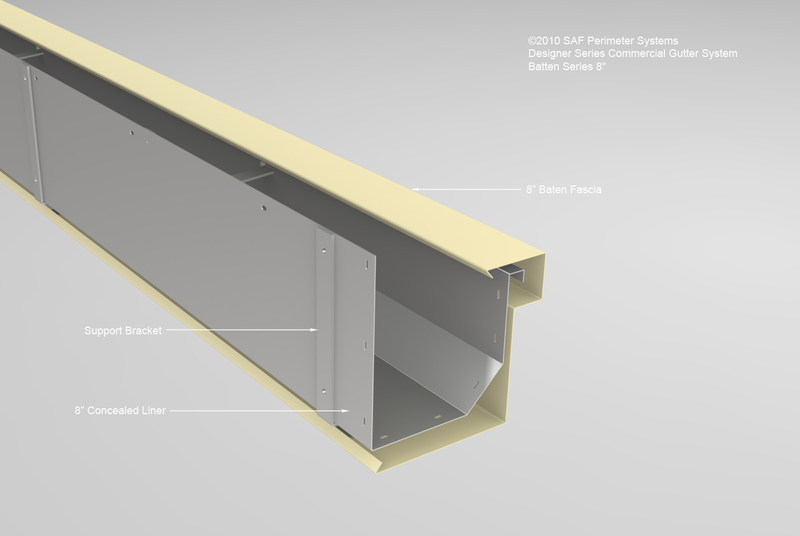 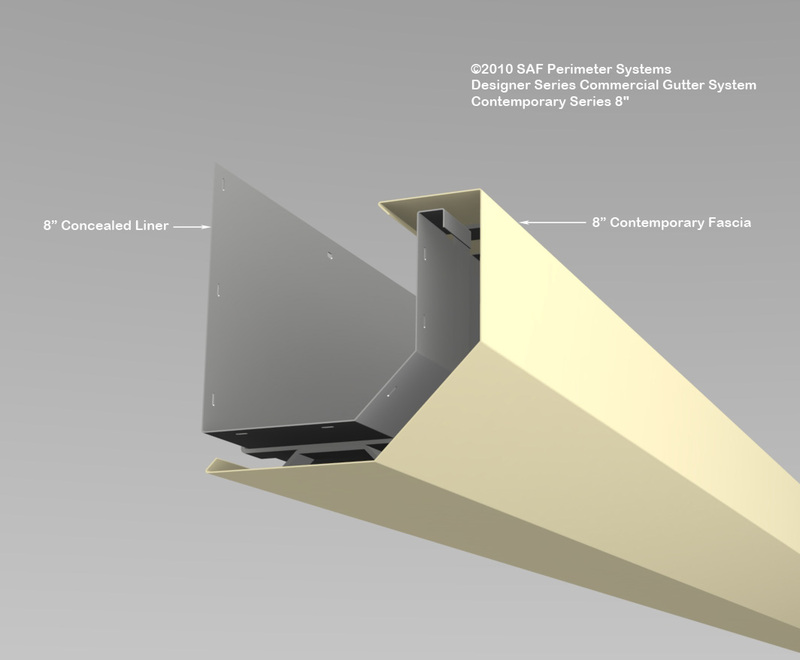 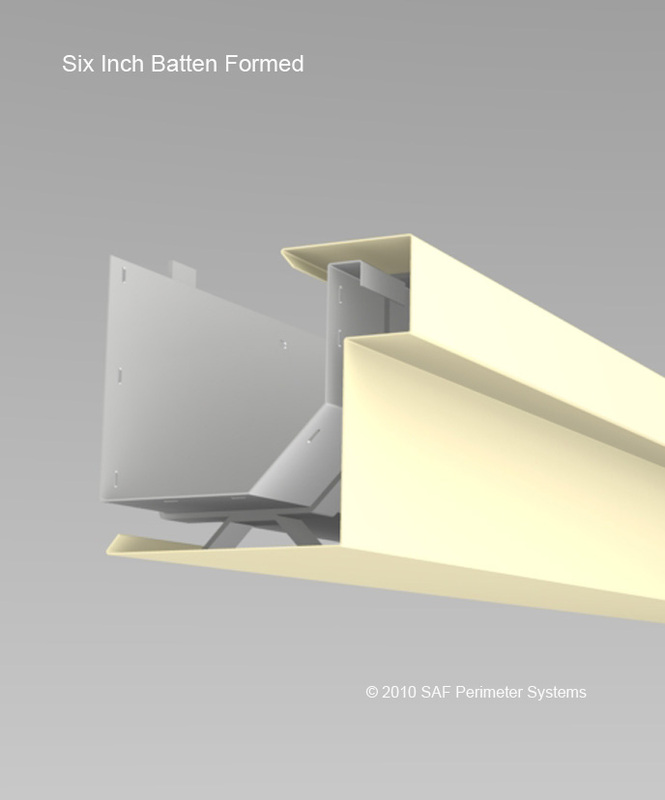 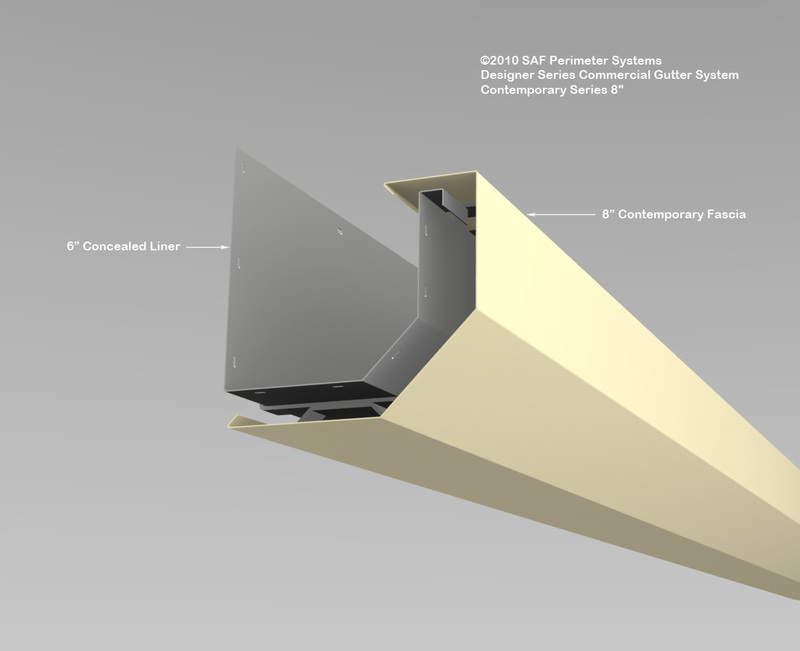 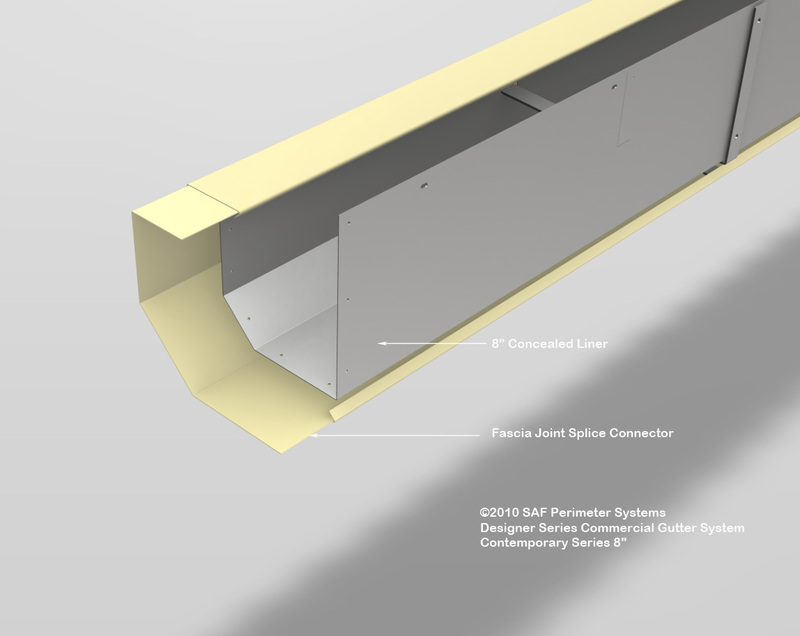 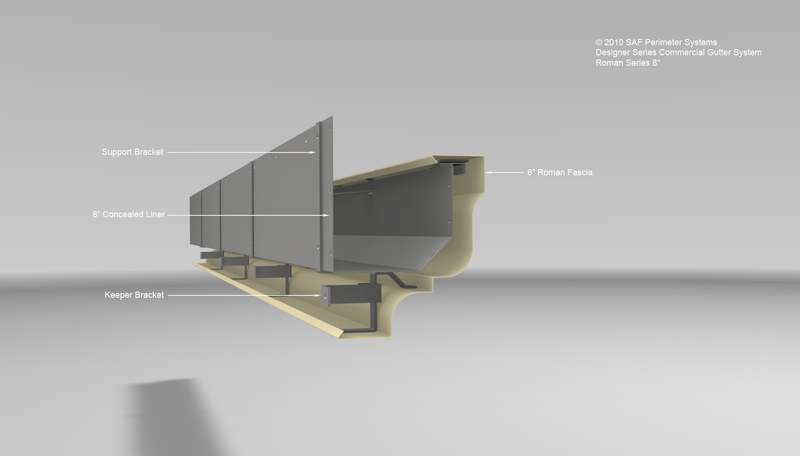 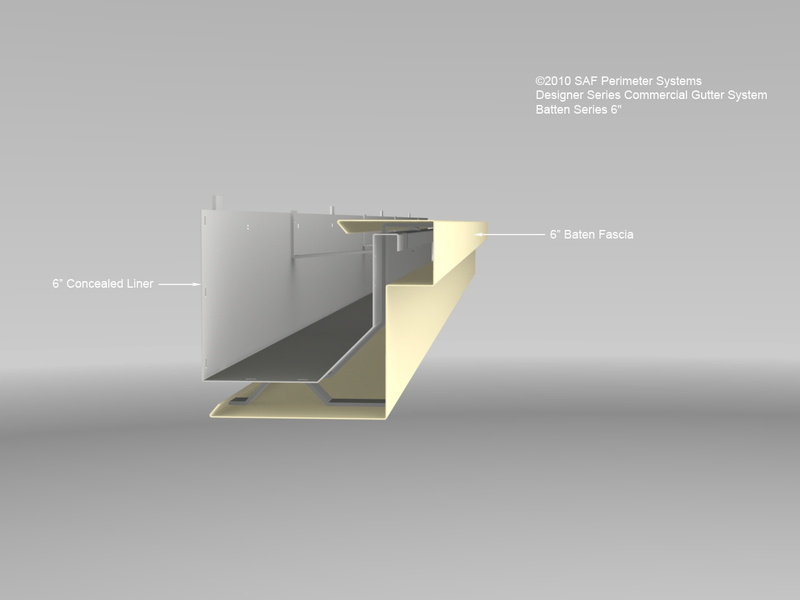 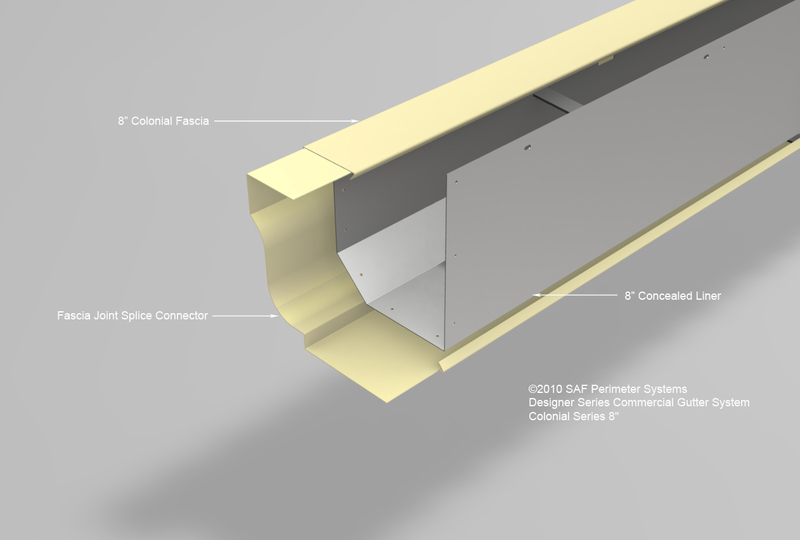 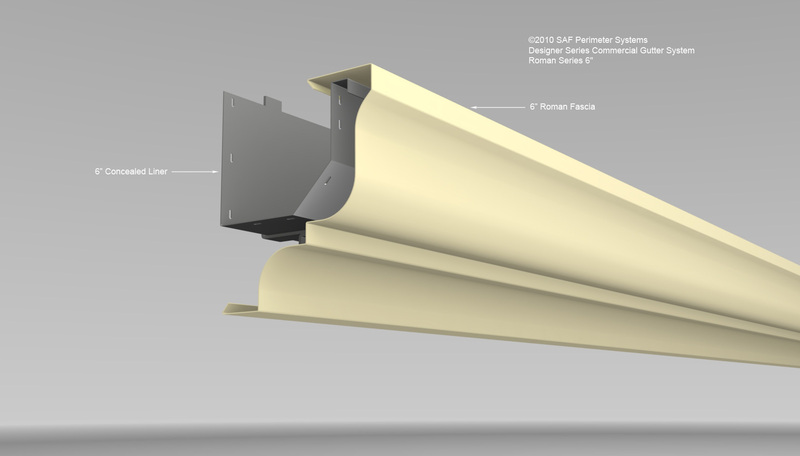 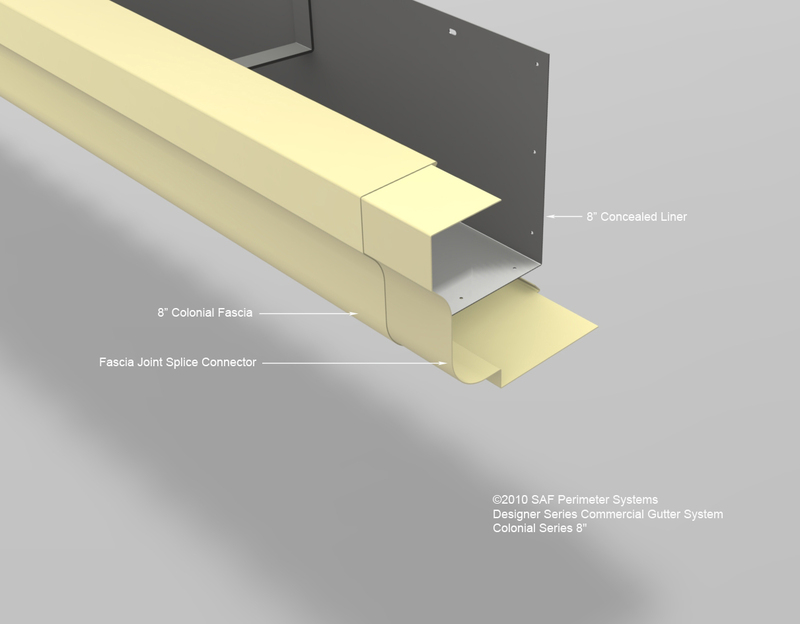 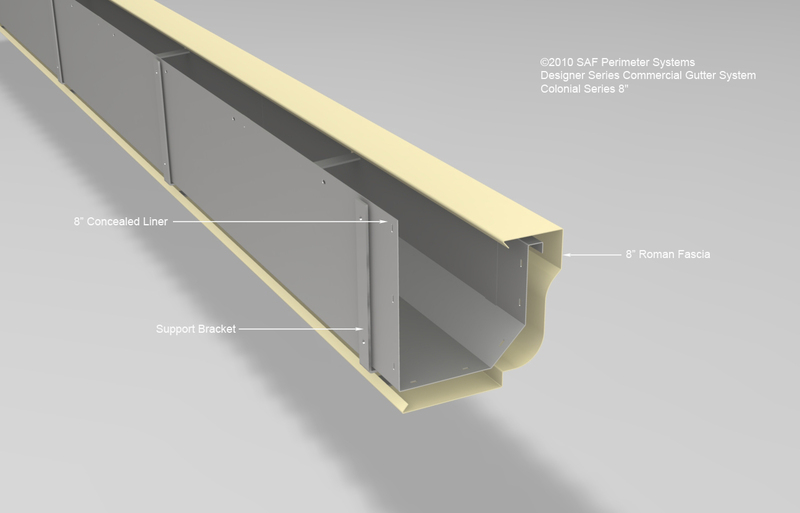 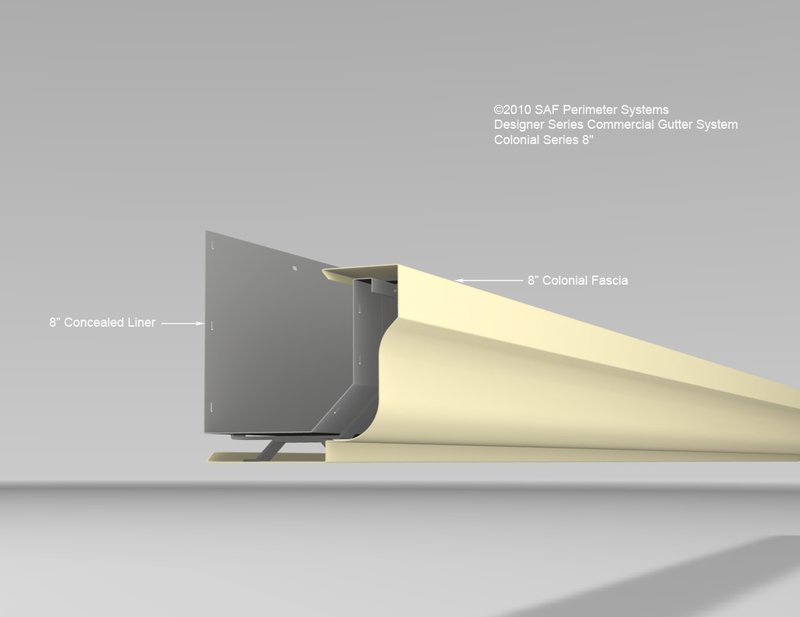 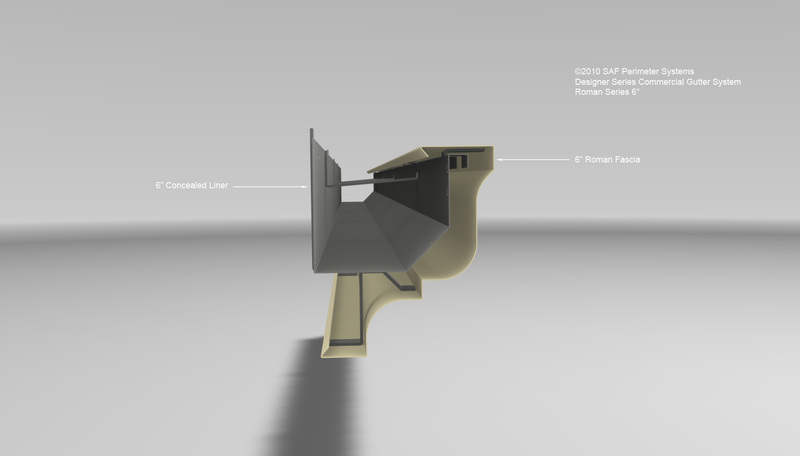 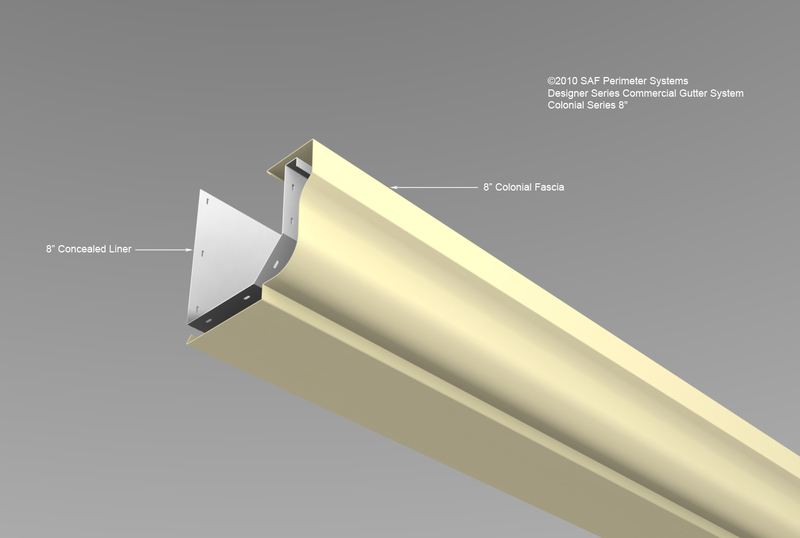 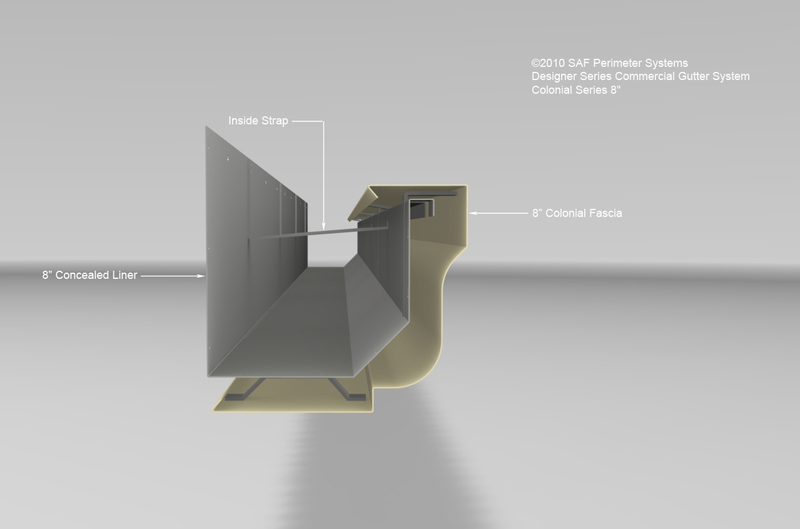 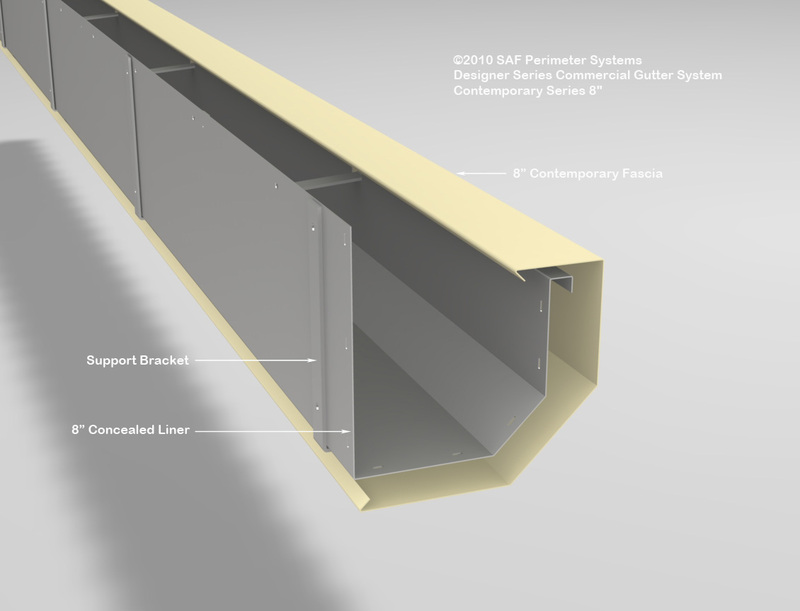 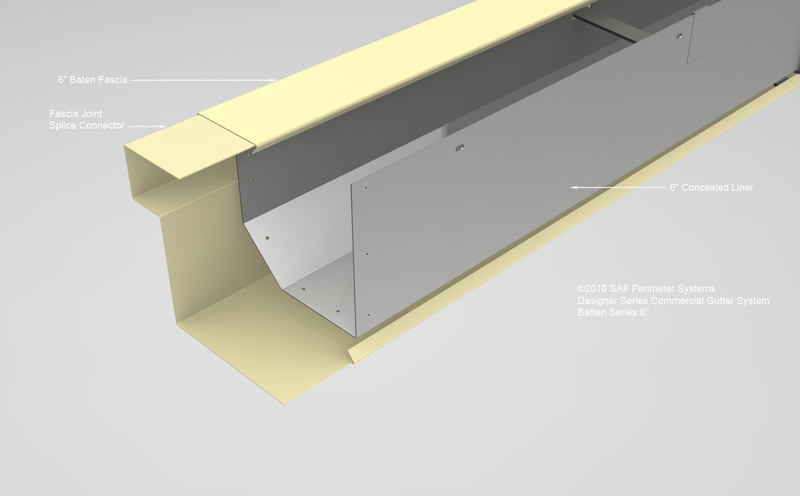 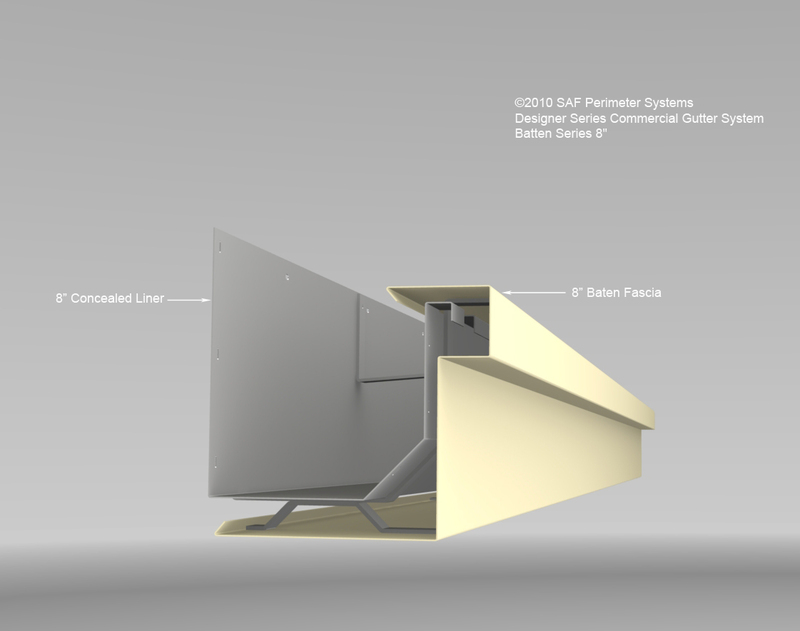 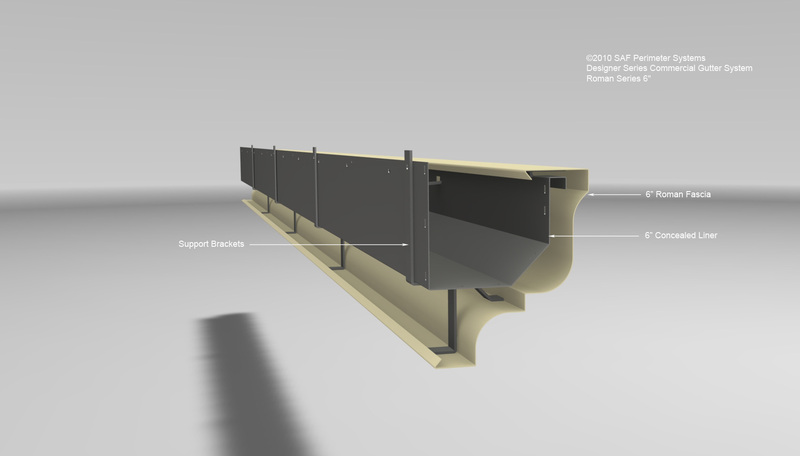 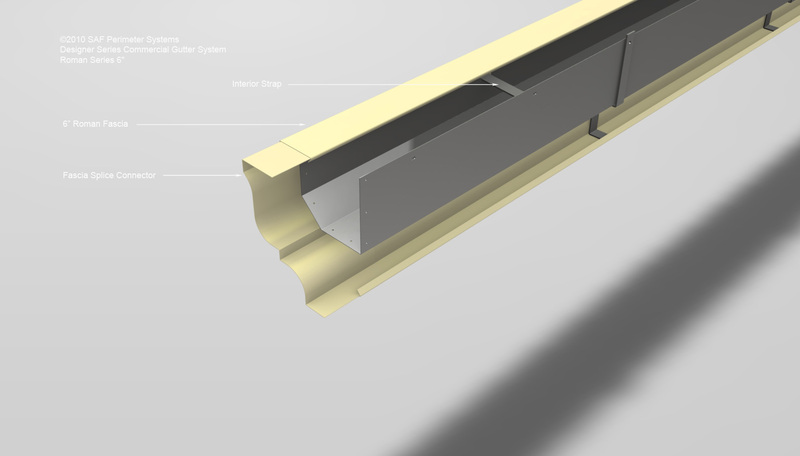 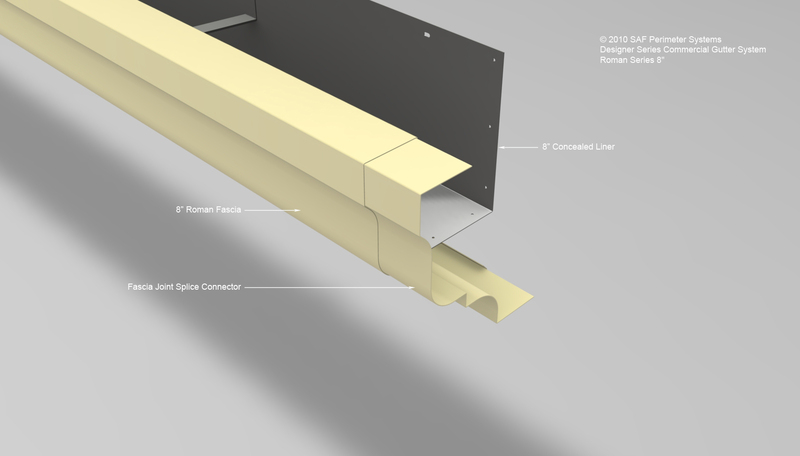 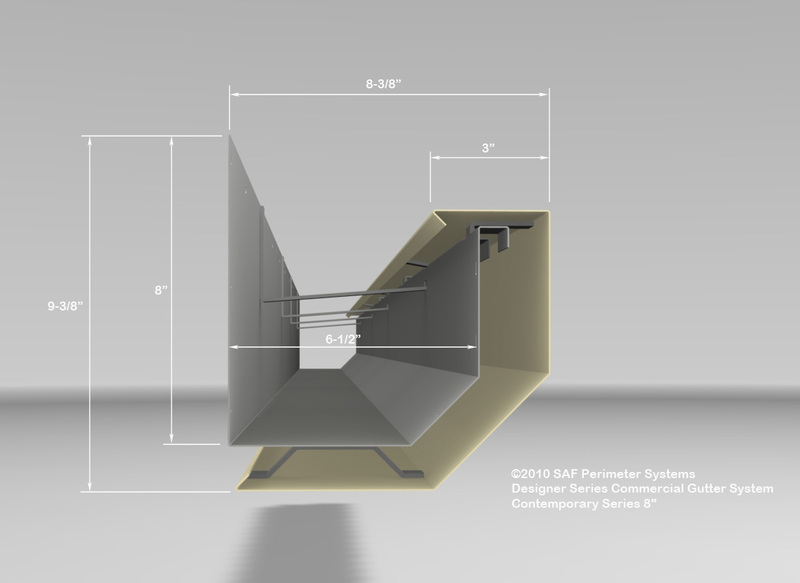 We also offer Custom Formed Aluminum Gutters with Profiles & Downspouts fabricated in the same facilities to the same exacting standards as the SAF Perimeter Systems Designer Series. 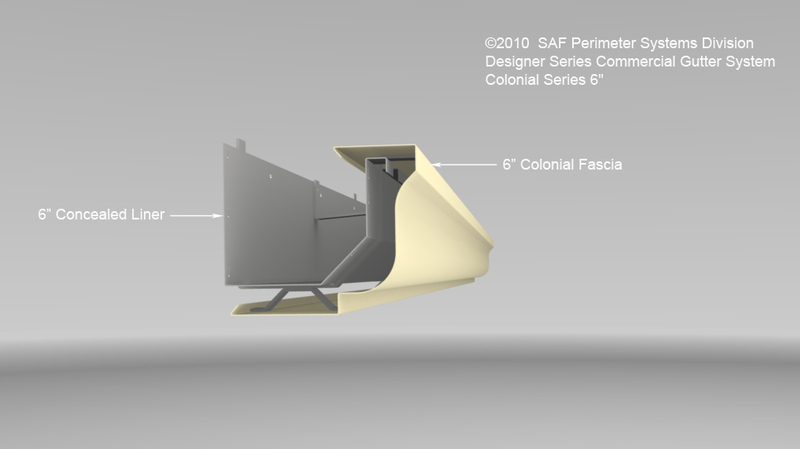 Click any image for detail view. 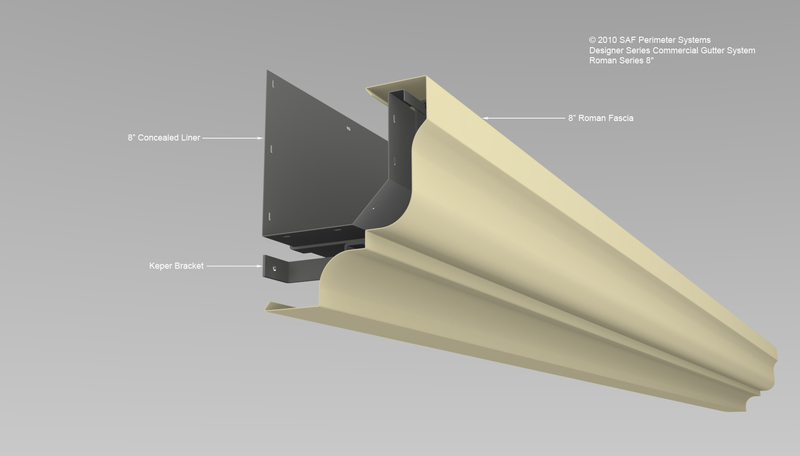 Return to FORMED GUTTERS.